The Longmorn distillery lies south from Elgin and not too far away from the Gordon & Macphail offices. The distillery was founded in the 1890’s in a prosperous period for the whisky industry. The greater part of the production disappears in blends of the Pernod Ricard group such as Chivas Regal and Royal Salute. 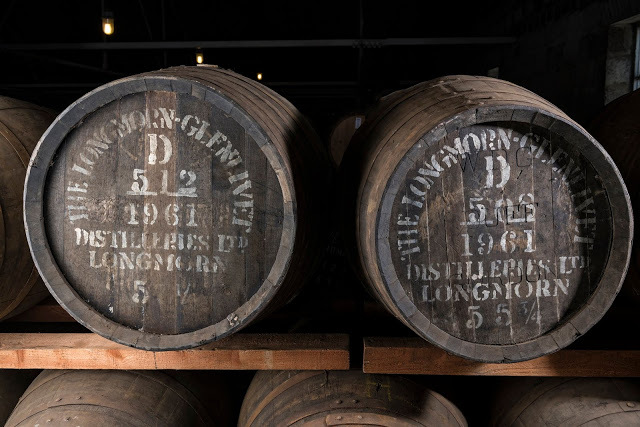 These two first-fill sherry casks were filled on the 2nd of February with Longmorn spirit. For 57 years the casks were stored away. 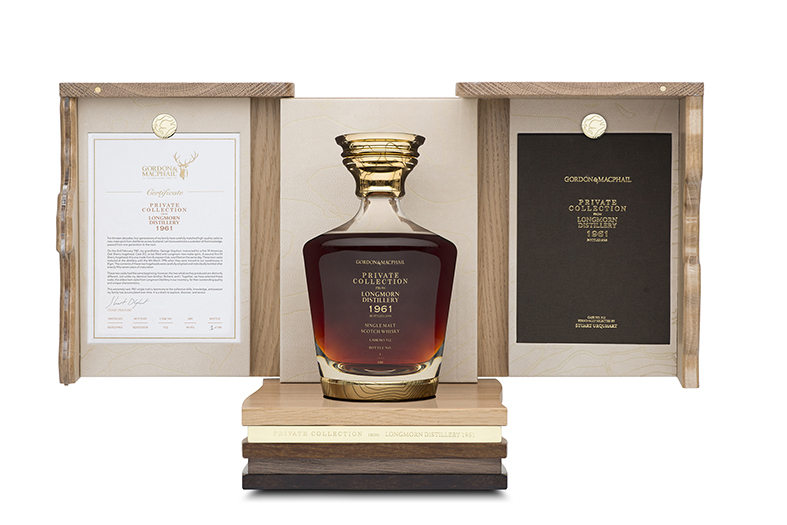 The twins Richard and Stuart Urquhart selected this set of casks for the premium Private Collection range: old whiskies from days gone by targeted at collectors. It is an exploration of what shapes a whisky as it matures. The only key difference between these casks is the type of wood. The spirit is the same, they matured for exactly the same amount of time. The previous contents were the same. The only thing that sets cask 508 apart is the use of European oak as to cask 512 made from American oak. Colour: Chestnut with a red hue. Old slow and oily legs. Nose: Sweet Spanish style rum. Dark bitter chocolate and orange. Almonds and hazelnuts. The wood plays a lead role. Imagine a colonial house with dark hardwood furniture. After Eight chocolate with mint cream. Caramel biscuits. With water: Marzipan, Madeira wine and dates. Taste: Bone dry. Roasted hazelnuts an walnuts. A heap of dark roasted coffee beans. A creamy development on the tongue tries to fight off the bitterness. Pencil shavings and orange zest. With water: Strong coffee. Make that a double espresso. Nuts and oak. The fruitiness is overwhelmed by the oak. Finish: Long and dry. A bag of coffee beans. Colour: Slightly lighter in colour than Richard’s cask 508. Dark copper with an amber glow. The orange hue is far more pronounced. A thick oily texture. Nose: Upfront sweet vanilla and raisins. Butterscotch, marzipan and apricots. Sweet apple and orange. The wood is less present. A spicy whiff of cinnamon and nutmeg. Furniture polish and cherry wood. With water: Wood versus marzipan. Slightly medicinal. Oranges and chestnuts. Taste: Bitter malt and dried lemon. Banana, grape seeds and dark chocolate. Cedarwood, coconut, dark rum and demerara sugar. With water: A strong presence of wood and malt. Chocolate, nuts, mango and papaya. Finish: Oak chips, chocolate, malt, unripe banana and banana peel with some rum-soaked raisins. 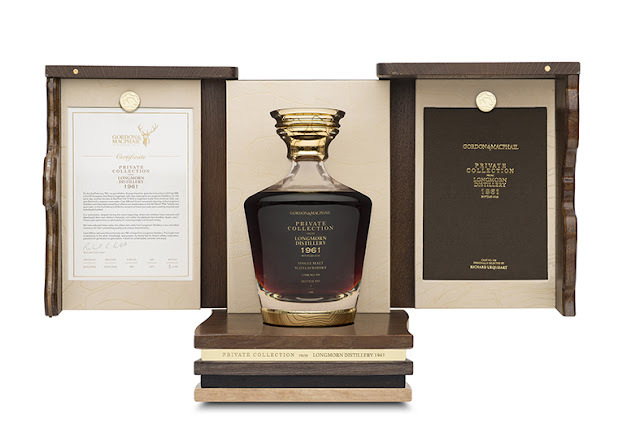 There’s no doubt these whisky twins target the market of collectors and investors. 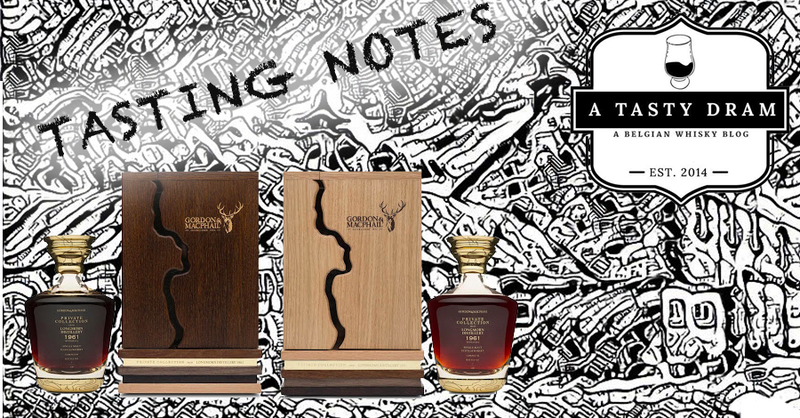 Both whiskies are a time traveller dream with a fabulous nose. On the palate, they are a bit too oaky to my taste. But that should not come as a surprise after 57 long and dark years in the casks. Cask 512 has a slightly better balance. 508 has a darker and heavier character.